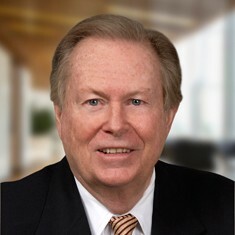 With more than 35 years of commercial real estate experience, Larry Wood has been involved in transactions that led to some of Atlanta’s most notable developments. Larry has vast knowledge and experience in the marketing and acquisition of land for regional malls, power centers, mixed-use developments, multi-family projects and free-standing retail stores. He has brokered the sale of more than eight million square feet of shopping centers and retail buildings, leased numerous shopping center projects and has sold or acquired more than 250 commercial sites and retail oriented buildings.